Anti-surge upgrade for t3-t67 H.O. : Is it necessary for this situation? 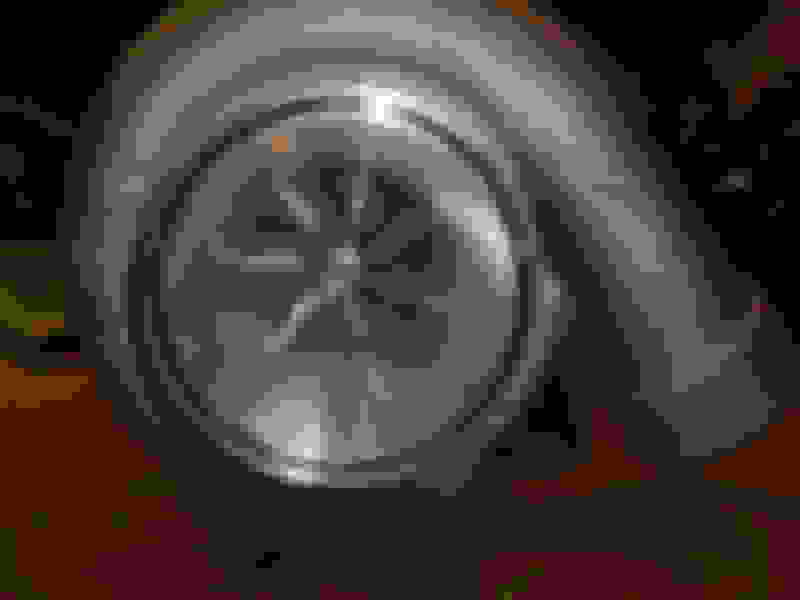 I’m looking for a anti-surge compressor housing for my old school full race turbo ( https://www.full-race.com/store/garr...t67-h-o-turbo/ )from early 2000’s. I know it’s ancient technology and there are many more efficient option available nowadays. I’m experiencing some compressor surge in first and second gear on low boost (10psi wastegate) and no surge in 3rd or 4th up to 22psi and havnt pushed it further yet had some fuel issues that have been resolved. Are the newer covers with the cast in anti surge channels compatable with my turbo without changing the wheel or machine work? I’m hesiatsnt on sending it off for drilling of the less effective anti-surge holes but have found a few companies that do it or install a sleeve and then machine the grooves. 84mm ls/vtec 10:1, full race top mount (one of the first made lol),4 inch down pipe to 3 inch exhaust, Tial 44 gate, 50mm bov, 2.5 inch hot side and 3 inch cold side intercooler pipes, gsc t1 (set at 0)cams and springs, victor performer x, itr throttle body. It’s hard for me to grasp that this setup can’t handle the output of the t3-t67 ho turbo on wastegate pressure in the lower gears. This is the first time I have encountered on load (under acceleration) compressor surge in the 20 years building Honda’s! Last edited by sleepencivic; 02-17-2018 at 06:03 PM. re: Anti-surge upgrade for t3-t67 H.O. : Is it necessary for this situation? What pressure spring is in the Tial BOV? I tried two The unpainted and the white which is in now..I’m not getting any throttle lift surge only under full throttle. going to pull the wastegate off my s2k to try next or even just disconnecting the pressure source to the wastegate keeping it shut so I know it’s not causing the issue. When it occurs there is a noticeable flutter on the vac/boost gauge. Interesting. Is there anything over the compressor inlet or are you using a filter/intake? There is a 4 inch 45 elbow with a short pipe on the end and a air filter, I also tried it without the filter just a screen with no elbow. I just put my other wastegate on the car about to test. Last edited by sleepencivic; 02-18-2018 at 09:33 AM. 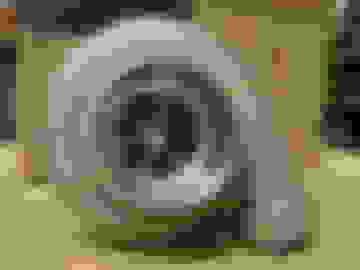 I’m looking for a anti-surge compressor housing for my old school full race turbo ( https://www.full-race.com/store/garr...t67-h-o-turbo/ )from early 2000’s. I know it’s ancient technology and there are many more efficient option available nowadays. I’m experiencing some compressor surge in first and second gear on low boost (10psi wastegate) and no surge in 3rd or 4th up to 22psi and havnt pushed it further yet had some fuel issues that have been resolved. That seems more like CAM SURGE from the GSC T1 camshafts, and nothing to do with your turbocharger. 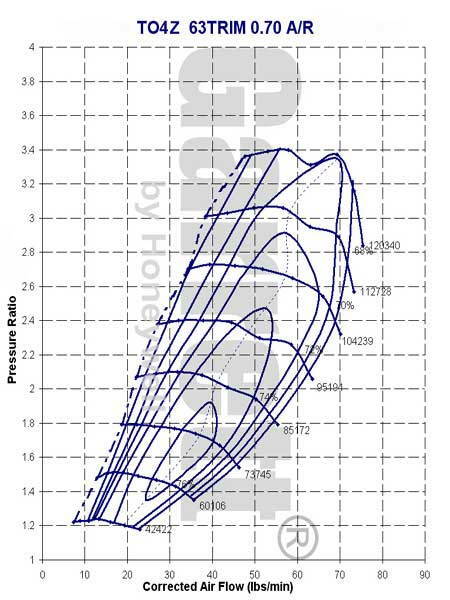 The GSC T1 camshafts tend to have a bit of cam surge (like many domestic camshafts that deal with a slightly higher lift, and much longer duration than stock made for turbochargers) in the lower rpms between really 2nd and 3rd gear in lower boost pressures, and lower speeds. This is especially true between 2400-3500rpms. The car will start to surge and buck slightly until you either accelerate a bit faster to get out of the rpm range of surge, or simply downshift to a higher gear, like 3rd gear, and get either below or above the surge point. This type of cam surge is extremely difficult to tune out, and it can be done, but you'll still have other hiccups because of the fact that you're only using a single 44mm gate for such low gate pressures. Are the newer covers with the cast in anti surge channels compatable with my turbo without changing the wheel or machine work? I’m hesiatsnt on sending it off for drilling of the less effective anti-surge holes but have found a few companies that do it or install a sleeve and then machine the grooves. 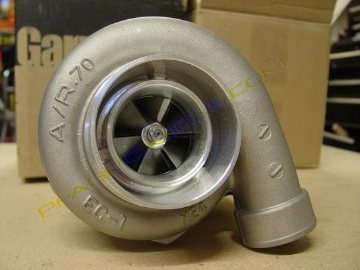 It is possible to order a pre-made one for the T67, if you find the right place that's willing to sell one, (The ones I've seen are about $270-$300 for that is a direct drop-in) but again I don't think your problem is at all in the turbocharger itself. You'd be wasting your money and still have the same issue.. You need to get a little more adjusted to the camshaft's behaviour and correlate it with the rest of your setup here. Your issue has nothing to do with the "surge" of a turbocharger. That "surge" is for the turbo at high boost pressure ratios and rotational speeds, not low boost and slower impeller speeds. The definition of "anti-surge" is completely different than what you're experiencing. Cam surge, is completely different from the "surge point" that is associated with a turbocharger. 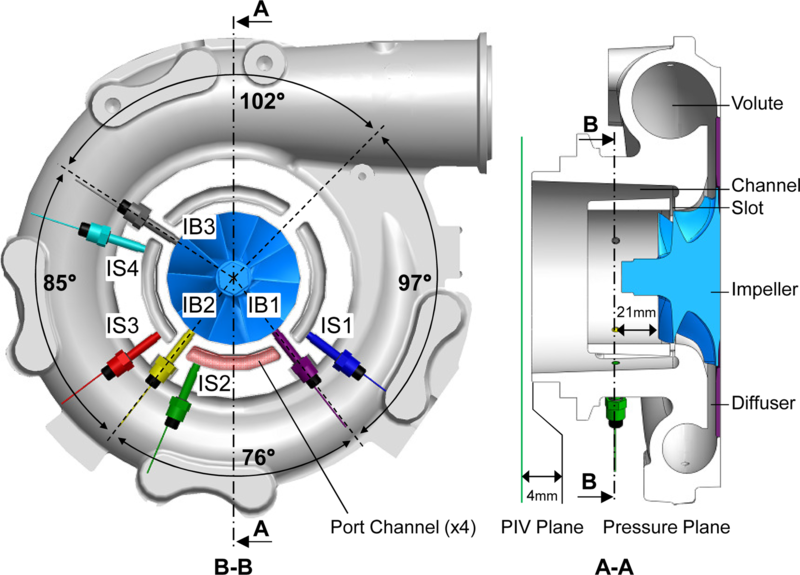 The surge point in a turbocharger is the point in which the rotational speed of the compressor wheel has reached just above hypersonic speeds and is almost to the point of over-speed turbulence. That turbulence causes reversion. The point of an anti-surge ported shroud is to balance out the turbulence when the compressor wheel is at hypersonic speeds. What you're missing about the idea of "drilling holes" is that having a ported shroud is more than just a fancy type of "hole drilling". What you're missing is what is called the inducer bleed groove that is either machined or cast into the compressor cover that is behind the compressor wheel's inducer side of the compressor housing. The inducer bleed groove is used to help keep the air entering into the compressor inlet remain stable at higher speeds, so that the turbulence of the air doesn't throw the impeller blade off balance at those speeds. This groove creates "inducer bleed", where a small amount of the airflow is recirculated back from the inducer back to the main inlet, thereby stabilizing the entire compressor stage when operated near its surge point. This design can also extend the max-flow range near the point where it starts to "choke", or "max out". Here is a diagram of the amount of pressure bleed off that these inducer bleed grooves (aka "map width enhancement" grooves) which helps balance the impeller at hypersonic speeds and higher boost pressure EGRs. Depending upon the suction slit width, determines how much bleed off the inducer will have. This shows the thermodynamic heat associated with inducer pressure "bleed off" when the impeller is over Mach 5. The better ones are a standard ported shroud. Here's a great write up from the ASME about compressor surge and the physical effects. The reason why you're also having issues is not only because of the cam surge, but because you're using a top-mount manifold with a large turbocharger at such lower boost pressures, when your setup, including your intake manifold, is not designed to do that very well. Your setup can handle this turbocharger just fine. Just not without additional help from a second wastegate for the lower boost pressures and power levels you're trying to achieve. This turbocharger and setup is made for BIG power and BIG boost, and it will behave just fine. But because of 4" downpipe to the 3" exhaust, it's just not setup for the lower gate pressures. Turn the boost up, and it behaves fine. Or, for the lower boost pressure levels, get a second wastegate, and retune the car with the lower boost pressures. So, you've got "surge", but not the kind you're thinking of. Lastly, your Camshafts have also made your vacuum much, much lower than what you've had previously, if you haven't changed springs in the TiAL BOV when you changed over to the GSCT1 camshafts to a lower vacuum, you'll need to do so now. Normally, a stock Honda B-series camshaft will put you at about 21 in/Hg of vacuum in which you would more than likely use an 11psi spring with the stock camshafts. (Remember, the correct spring goes by vacuum, not boost pressure level when it comes to TiAL BOVs. ), with the GSC camshafts, you're going to drop REALLY LOW to about 12 in/Hg, in which you would change down to something like an 8psi spring, or something to that effect. (best to see your TiAL chart to confirm). That will make your BOV consistent. In essence, no matte which spring you use, having the BOV "flutter" slightly when you're just over vacuum going into positive pressure at partial throttle is completely normal, and shouldn't be associated with any surge of the compressor. Compressor reversion (what people also call "surge") occurs if there is not enough ventilation from the BOV in-between shifts, and really only occurs at WOT or 3/4 throttle. If that's not happening, you're ok.
1) Wrong kind of surge you're experiencing. Cam surge does not equal compressor surge. 3) True issues is cam surge from the GSC T1 camshafts, single wastegate on a BIG turbocharger for lower boost pressures, using an exhaust manifold and turbo setup made for higher power and boost pressures. Best way to solve is to add a second wastegate to your top-mount. 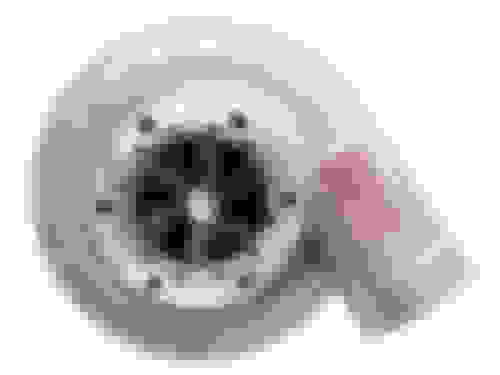 4)BOV flutter is common in even TiAL Blow-off valves when just reaching above vacuum. Make sure you have the right vacuum spring for your GSC T1 camshafts. ^ That may very well be the most interesting post I've ever read on H-T. Maybe because I deal strictly w/ the turbo components and how they act/react in general and am pretty far removed from different cam types. Kudos to you for actually typing all of that out. It makes sense, FWIW, we used to run that same turbo (many years ago from FR) on a bottom mount, 46mm gate, H22, stock camshaft, motor issue free. Yeah youre probably going off map on the right side at the choke line then as shodan said you going supersonic, compressor is loosing the air channel and when it gets it back, suddenly slows down and tries to give too much boost on too small cfm and your'e suddenly on the left of the map on the surge line. On the other hand the t67 / T04Z can give 50lbs/min on 10 psi ( 1,7 pressure ratio) than seem almost impossible to hit on 10 psi. BUT if the car swallows 35 lbs/min and looses 15lbs/min from somewhere like BOV or a leak then yes your asking the turbo to produce more than 50lbs/min at 1,7 pressure ratio and bad things happen. 15 lbs/min leak is like 0.1 liter or 7 cubic inch per second. TOTALY doable from a possible BOV leak or another leak in general. Edit: im talking about full or almost full throttle surge. The T04Z is the Ball-bearing version of the Cast T67 using the same turbine wheel. The difference is that the T04Z has the same compressor cover with an inducer bleed groove. Thanks for the info, turbocharger dynamics is one area I have yet to gain knowledge in. Im going to make a few tweaks and see if I get anywhere this week. The original plan for this car was to compete in the ever growing roll race scene (legal ...not illegal street). 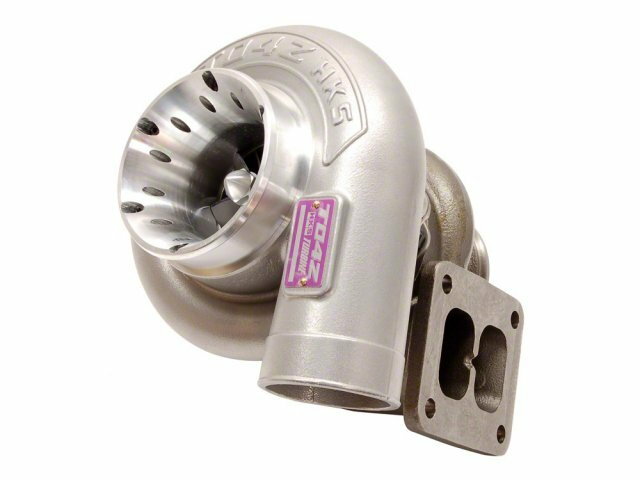 I had the turbo from many years back and knew it was capable of bringing the car into the 600-700 whp range where I need to be competitive. I am indeed asking a lot of the single wastegate to maintain such a low boost pressure in the lower gear but I do enjoy the spirited back road mountain runs of the skyline park...the build was intended to be a top end car but the gsc cams have such a good mid range I’d hate to switch them for another setup. I may try upping the pressure with the 15psi gate spring and see how it behaves. I have also ordered a softer bov spring than the white Tial that is in the bov at the moment. I have been back and forth about manipulating the cam position ever so slightly to reduce the proposed cam surge even though gsc recomends to set at 0 install for the newer billet t1 cams they currently sell. It’s also odd that the car exhibited zero surge when loaded on the dyno but experienced it on the street. is the to4z above the correct cover That you mentioned will work with my turbo in lieu of sending it out for modifications? I’m aware it may be money down the drain but if I can’t correct the issue I may go down that road. Last edited by TheShodan; 02-19-2018 at 04:28 PM. i don’t have a boost leak at bov or any other spot and the motor pulls 25 in/hg vacuum between slow shifts and 14-15 in/hg at idle. Positive pressure stays firm in the upper gears and only the flutter/surge in first and second gear. If I manipulate the throttle I can cause the flutter and it’s noticable on the pressure/vacuum Gauge I need to data log the run to really graph the event. You can't get a T04Z cover anymore from HKS. They never sold those independently. Again, it won't solve your surge issues. Please re-read my elaborate, well-put together post. I am rather intimately familiar with those GSC Camshafts. 15psi is still rather "low boost pressure" for a T04S T67. You need about 20psi to stabilize it properly. That's a lot of power for that turbo at 20psi. anything before that, and you'll have those same boost creep issues. If you really want one, I'll find it for you. But it's about $300. It should fit, but there may be a small profile involved. I did read the post and appreciate the time and the info you have givin not just with my post but for Honda-tech in general.👍 I understand what your saying and know that you have also used the gsc t1 cams on your personal car. After reading your info The housing has shifted from my first attempt for a “fix” to my last “fix” on my list. I will update the post with more data and my findings if I can correct the issue. TOTALY doable from a possible BOV leak or another leak in general.Edit: im talking about full or almost full throttle surge. That is the very definition of cam surge. Not the turbo, but the BOV could use a better spring. If you're getting 14-15 in/Hg at idle, then you need the 9psi spring and not the 11psi spring. that extra flutter at full throttle means that you have the wrong spring. Last edited by sleepencivic; 02-20-2018 at 04:15 AM. -6 (black tial) bov spring made no difference. Of course not. It's camshaft surge. Nothing too do with boost pressure. The purpose of the spring change was to make sure that the valve opened fully at target pressures. Have any other users experienced the surge with the gsc t1s? I looked through the thread without one other person having the same issue. I'm trying to say YES! How did you think that I know about it? I've had 5-10 owners with it. Doesn't mean that they make a thread every time something is amiss.. The big dogs with it ever 800whp don't stay in that rpm range. That's also why they don't say much. Quick Reply: Anti-surge upgrade for t3-t67 H.O. : Is it necessary for this situation?